Read about the action you should take if you receive a suspicious email. Learn what to do if you believe you have been a victim of fraud. Thieves are installing high-tech tools called "skimmers" on ATMs in order to capture a person's account information and steal their money. 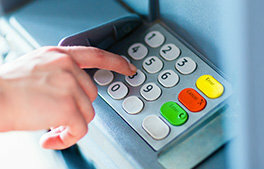 Learn what you can do to avoid becoming a victim of skimming.